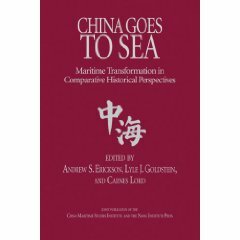 While countries other than China have also been involved in dredging and island-construction in the SCS, China has far surpassed its neighbors—combined—in both construction to date and future potential. It has deployed one of the world’s largest dredging fleets on industrial scale. Compare the acreage constructed: China 2,900+; Vietnam 80; Malaysia 70; Philippines, 14; Taiwan, 8. Compare airstrips: China—2 complete, 1 developing, 1 started. Other parties have 1 maximum apiece, all inferior in length and quality. Whether in scale or sophistication, there is simply no grounds for conflation. Even if SCS issues are raised during his visit to the United States, Xi Jinping will dismiss any verbal objections to Chinese actions. To actually influence his decision-making and uphold vital international norms, the U.S. must impose costs. After the summit, U.S. forces should engage in Freedom of Navigation operations to demonstrate that China can’t manufacture sovereignty or throw sand in the gears of international law and Freedom of the Seas. No matter how much coral cuttings dredgers dump on it, if a reef is naturally underwater at high tide it is entitled to zero territorial waters and airspace. History and politics complicate the overlapping positions of mainland China and Taiwan. Beijing takes Taipei’s claims as its own, because it regards Taiwan as its own. Taipei can make a positive contribution by demonstrating actively that principled beliefs (shared cross-Strait) need not engender threats or coercive behavior (unacceptable approaches that nobody need fear from Taipei), or exclusionary efforts. Taipei has special conciliation and cooperation potential that can promote peace in a vital but vulnerable region that remains haunted by history. Christina Larson, “China’s Island Building Is Destroying Reefs,” Science 349.6255 (25 September 2015): 1434. …over the past 2 to 3 years, China has created 13 square kilometers of island area—about a quarter the size of Manhattan. Scientists have little hope that environmental concerns will make a difference. “China keeps saying it cares about the environment,” Lyons notes, but it has not published an environmental impact assessment for any of its island building activities in the SCS. In spite of Xi’s reassurance, other countries will feel the consequences. “For centuries, many of the countries surrounding the SCS have been dependent on fishery resources from these chains of reefs and islands,” [Ed] Gomez [, a marine biologist at the University of the Philippines, Manila] says. Now, he says, key reefs are “forever gone” beneath the landfill and concrete. Andrew S. Erickson and Kevin Bond, “Essay: China’s Island Building Campaign Could Hint toward Further Expansions in Indian Ocean,” USNI News, 17 September 2015. Andrew Erickson and Kevin Bond, “Dredging Fleet Shores up Beijing’s Position in South China Sea and Beyond,” Lowy Interpreter, 12 August 2015. 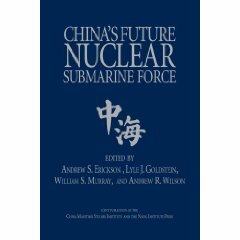 Andrew S. Erickson, “Follow the Dragon Tracks: China’s Emerging Presence From the South China Sea to Facilities Access in the Indian Ocean,” keynote address to Congressional Defense and Foreign Policy Forum, Defense Forum Foundation, Capitol Hill, Washington, DC, 24 July 2015. Andrew S. Erickson, Testimony before the House Committee on Foreign Affairs Subcommittee on Asia and the Pacific, Hearing on “America’s Security Role in the South China Sea,” Rayburn House Office Building, Washington, DC, 23 July 2015. Andrew S. Erickson and Kevin Bond, “Archaeology and the South China Sea,” The Diplomat, 20 July 2015. 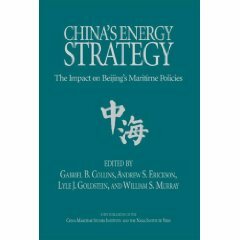 Gabriel B. Collins and Andrew S. Erickson, “Djibouti Likely to Become China’s First Indian Ocean Outpost,” China SignPost™ (洞察中国) 91 (11 July 2015). 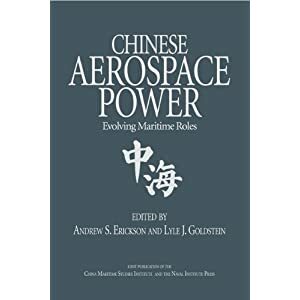 Andrew S. Erickson, “See China’s Secret Ocean Airbase,” Live interview on “Today Asia” Program, CNN International, 17 April 2015.